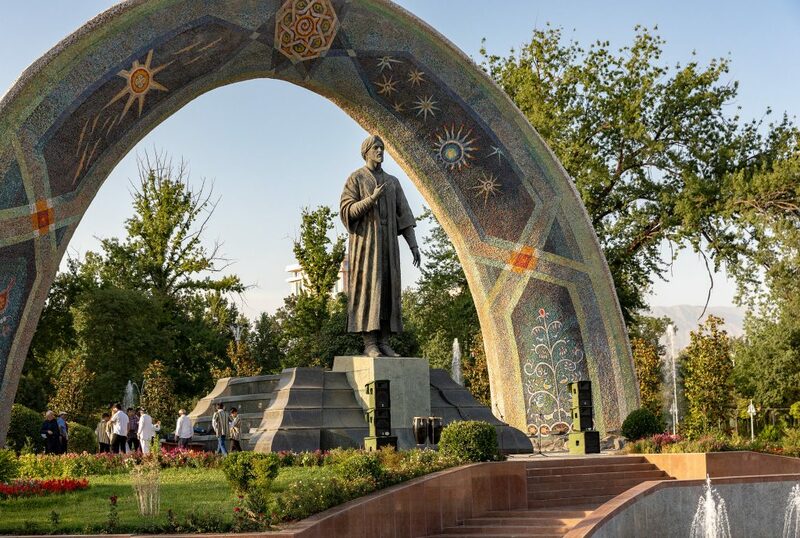 This update covers developments relating to civil society and civic freedoms in Tajikistan from November 2018 to February 2019. International Partnership for Human Rights (IPHR) prepared this report as part of its cooperation with the CIVICUS Monitor. On 29th November 2018, the United Nations (UN) Human Rights Committee published a list of issues in preparation for the examination of Tajikistan’s sixth periodic report on the implementation of the International Covenant on Civil and Political Rights which is scheduled for July 2019. In this list the Committee requested that the Tajikistani authorities provide additional information on certain aspects pertaining to the implementation of the Covenant, including: investigations into allegations of torture and other forms of ill-treatment against detainees in order to obtain confessions; measures taken against widespread corruption among public authorities and in the judiciary; discrimination, violence and harassment against LGBTI people; restrictions on freedom of religion and restrictions on the freedom of movement of refugees and asylum seekers. The Committee also requested information on the implementation of its previous recommendations to Tajikistan, such as measures taken to investigate civilian deaths and injuries during a military operation in the city of Khorog, the capital of Gorno-Badakhshan Autonomous Region, in July 2012, and specific information about any trials of the perpetrators and compensation for victims or their families. In addition, the Committee asked the authorities of Tajikistan to provide information regarding amendments to the Law on the Legal Regime of a State of Emergency, which provides for blocking mobile communication services and access to the internet without a court decision. In addition, the Committee requested that Tajikistan report on measures taken to implement the Committee’s decisions on several cases, including the case of Mukhammadruzi Iskandarov, activist of the former United Tajik Opposition (UTP) and ex-chairman of the Democratic Party of Tajikistan (DPT), who was apprehended in April 2005 in Moscow by unknown persons without an arrest warrant and forcibly returned to the country. In July 2005 he was found guilty of embezzlement, and also of terrorism, as well as illegal possession of firearms and ammunition. The UN HRC concluded in a decision issued in 2017 that Tajikistan is under an obligation to provide an effective remedy, including Mr. Iskandarov’s immediate release or a retrial as well as appropriate compensation. The next Presidential elections in Tajikistan are scheduled for 2020. In accordance with the results of the national referendum held in May 2016, in February 2018 the Parliament approved amendments to the laws on presidential and parliamentary elections, enabling the current President, in his new capacity as Leader of the Nation, to run for Presidency for more than two consecutive terms and lowering the age of eligibility from 35 to 30. It is believed that one of the main reasons for this move is to allow the President’s son, Rustami Emomali, to run in the forthcoming elections. Although Tajikistan decriminalised homosexual relations in 1998, homophobic and transphobic attitudes are widespread in Tajik society, including among state officials. Radio Ozodlik reported that during a press conference on 31st January 2019 the then Human Rights Ombudsman Zarif Alizoda (who, as of 4th March 2019, is Assistant to the President on Legal Issues and Plenipotentiary Representative of the President to Parliament), stated that the Government of Tajikistan is unable to follow the recommendations of international organisations on the rights of members of the LGBTI community due to existing norms of morality and ethics in Tajik society. Ozodlik added that “this does not mean that individuals with a non-traditional orientation are subjected to persecution”. However, as reported previously by the Monitor, there have been cases where LGBTI organisations have been subjected to harassment. In November 2017, Rohi Zindaghi (Life Path), an NGO working on LGBT rights in the Sughd region of northern Tajikistan, announced that it had been forced to close down following a series of inspections by the local administration, fire safety officials, the prosecutor’s office and other official bodies. The chair of the organisation said that they made this decision due to the endless number of inspections, though the inspectors had only found minor violations. According to the chair, the organisation had been under constant pressure from the authorities since it started working on the rights of sexual minorities a year and a half ago. NGOs are also concerned at ongoing reports of discrimination against LGBT persons in Tajikistan and beatings, sexual abuse and extortion by police. The process of drafting the new Administrative Procedure Code and the new Law on Non-Commercial Organisations appears to be ongoing. There is no information when the two bills will be submitted for adoption to Parliament. The draft Law on Non-Commercial Organisations was returned to the Ministry of Justice in September 2015 for further revision and to the Government for approval in 2017. There has been no information about its status since. According to the Minister of Justice Rustam Shohmurod, during 2018, 1,718 NGOs received funding from abroad amounting to almost 750 million somoni (around USD 80 million). The Minister further stated that the majority of funding was directed to projects on human rights protection and in the social sector. On 15th February 2019, Sharoffiddin Gadoev, a prominent activist and former deputy head of the banned political opposition group “Group 24”, was shown on Tajik state television, announcing he had returned to Tajikistan voluntarily from exile and denouncing other opposition figures who fled the country. Gadoev was recognised as a refugee in the Netherlands in 2015. He traveled to Moscow on 13th February 2019 and met with officials from the Russian government’s Security Council. On 19th February, representatives of the political opposition in exile published a video recorded before Gadoev’s departure to Moscow, where Gadoev states that should he appear in Tajikistan, it would be against his will. Following an international outcry, including statements by international human rights organisations such as Amnesty International and Human Rights Watch raising concerns at allegations that Gadoev was tortured and ill-treated in custody, he was returned to the Netherlands on 2nd March 2019. Upon arrival in Amsterdam he told journalists that he had been abducted in Moscow by Russian law enforcement officers on 14th February and handed over to Tajikistani officials who flew him to Dushanbe on a Tajik-owned Somon Air flight without any court decision or witness present. Gadoev alleged that while in custody in Tajikistan, he was put under pressure to support the candidacy of Rustam Emomali, the son of the current President Rahmon for the forthcoming elections in 2020. In a separate development, IPHR and other human rights organisations issued a joint statement urging the Tajik government to immediately and unconditionally release Mahmadali Hayit, deputy head of the opposition Islamic Renaissance Party of Tajikistan (IRPT), which was banned by the government in late 2015. During a visit on 9th March 2019, Hayit’s wife saw evidence that prison officials had beaten him to punish him for refusing to record videos denouncing Tajik opposition figures abroad. Mahmadali Hayit, 62, was arrested in September 2015 on politically motivated charges and sentenced to life in prison in June 2016 following a closed trial. In an opinion released in May 2018, the United Nations (UN) Working Group on Arbitrary Detention called for Hayit’s immediate release. The statement called for diplomatic representatives to “seek permission to visit Hayit and other prisoners of concern and press for their immediate release”. According to news reports, the cost of accessing the internet will rise dramatically in Tajikistan from 27th March 2019. The Anti-monopoly Service of Tajikistan requested that Internet providers and mobile operators set the cost of 1 gigabyte at USD 5.3. Currently, 1 GB costs between USD 3.1 to USD 3.7.The internet in Tajikistan is among of the most expensive in the world. For this reason, according to World Bank experts, only a number of organisations and companies use Internet in their work. World Bank experts also stated that the high cost of internet services is the result of excessive state control and the introduction of high tax for internet providers. Despite the high cost of internet services, local subscribers often complain about low connection speed. The situation deteriorated significantly when in early 2018 when the government demanded that all internet traffic go through the Unified Communication Center. In February 2019 the Speed-test Global Index ranked Tajikistan at 134th place for mobile speed worldwide. On 18th March 2019, nine local civil society organisations appealed to the Anti-Monopoly Service to reconsider internet price increases in line with the Constitutional provision that stated: “Tajikistan is a social state whose policies are directed towards creating conditions to ensure a worthwhile life and the free development of the person”. The organisations stated that the high cost of internet will restrict citizens’ access to information and negatively affect the activities of educational institutions and government agencies, as well as international cooperation. In a separate development, in December 2018 customs officers at Dushanbe Airport confiscated 5,000 calendars containing verses from the New Testament which were being imported by the Baptist Church. The calendars included a quotation from the New Testament for each month. A linguistic expert examination conducted by the Ministry of Culture concluded that the calendars contained elements of propaganda of an alien faith and confiscated the calendars, fining the Church 4,000 Somonis (around 420 USD), under Article 474-1 of the Administrative Code which punishes producing, distributing, importing, or exporting religious literature and items of a religious nature which have not been subjected to prior government review. On 12th March 2019, thirty prisoners stood trial accused of organising a riot in the strict regime prison colony No. 3/3 in the northern city of Khujand on 8th November 2018. According to the available information, the court hearings are held behind closed doors, as the cases are classified as “secret”. Participants in the riot are accused of murder, grievous bodily harm, resisting the authorities and violating prison rules. According to official information, twenty-one prisoners died, two prison officers were killed and five guards were seriously injured during the riots. A criminal case was initiated against seven prison officers in connection with the riot, including the Head of the prison Fayzullo Safarzoda for “negligence, causing the death of a person or other grave consequences” (Article 322.2 of the Criminal Code) which is punishable with five years’ imprisonment.